We at Out of Sight Cleaning are sensitive to the needs of our clients and customers, and offer green cleaning for residents in the city of Auburn, California. We respect the needs of our customers who have allergies and sensitivities to various cleaning products, so we have provided a solution to residents, including business owners, of Auburn: Environmentally friendly cleaning products. Bona: For cleaning wood floors. Any cleaner: That's right. If you request any cleaner that you have found to be more helpful than the two above, we will use that cleaner. Our goal is to serve the city of Auburn, California, with the best cleaning service available--this is our guarantee! We will use any nature friendly product upon request. When it comes to cleaning the home, a busy lifestyle makes it easy to grab the first bottle of convenient wonder product off the shelf to get the job done quickly. But what exactly is in those "wonder" products? Are they really safe for use in your home, around your family? Your pets? The majority of these products are chemical concoctions which can be damaging to the health of every living thing in your home, from your houseplants to your children. Products used for green cleaning are much safer than conventional cleaning products. Green products don't produce the corrosive, harsh results that chemical products do. They undergo rigorous testing to make certain they meet strict guidelines and standards regarding skin absorption, combustibility, and inhalation toxicity. Cleaning your home with green products prevents harmful chemicals from being released into the atmosphere. Using green products helps to reduce poisoning and pollution released into the air and water sources. These factors have a negative impact on the ozone layer, global climate, and smog production. Most green cleaning products are packaged in recyclable containers. This eliminates waste and cuts down on environmental damage from plastics and other types of packaging that are not biodegradable. Air quality is improved by the use of green cleaning products,as many of them contain natural essential oils. Using these products in your home can produce the same pleasant, healthy results as Aromatherapy. Green cleaning products are far less expensive than their counterparts. Everyday household items such as vinegar, lemon juice, olive oil, etc, can be used for cleaning and they are effective, perfectly safe, and inexpensive. 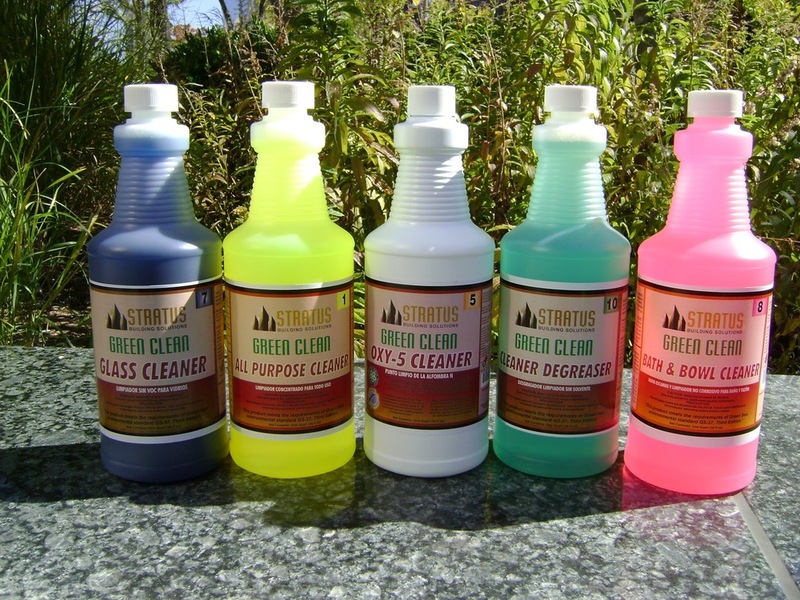 By using green cleaning products, you always know exactly what you are cleaning your home with. Not so with their commercial counterparts. Government regulations don't even require that all ingredients be listed on cleaning products. This alone is reason enough to keep these items out of your home and away from your family. Green cleaning kills germs without leaving behind a film of chemicals which in some instances are more harmful than the germs themselves. Spend a little bit of time doing some research online and you will quickly discover the truth about just how harmful many of these chemicals really are. Some can cause or exacerbate breathing issues such as asthma, COPD, etc. Some have even been known to cause chemical burns in the nasal passages and/or the lungs. Eye irritation, swelling of the throat, headaches, nausea, and other issues can arise from breathing in the chemicals contained in everyday household cleaning products, which are seemingly safe. Break down the ingredients on some of these products (where you can find them listed), and research them individually. The results will shock you. Now realize that you have been dousing your home in these poisons. You will see immediately that switching to green products is the best choice you can make for your household. We are confident that our green cleaning services for both commercial and home properties will be effective for your health, as well as your heart. We understand that cleaning is not always the easiest thing to do, and finding reliable people to regularly clean is also challenging, especially when you have sensitivities to certain toxins in cleaning products. There are many green products we use, but you can request an green product for our staff to use on the next visit, and we will clean with this product with no extra charge for you!